Go live and watch events with the new Ustream iPhone 4 app! 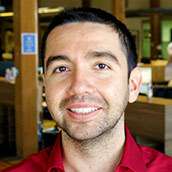 Hey, it’s Edmond from the Ustream Product team! 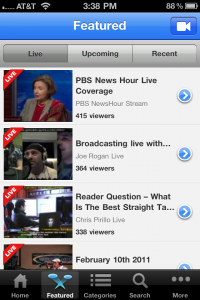 Today, we released a major update for our Viewer app which now combines the best of broadcasting and viewing into one convenient app. 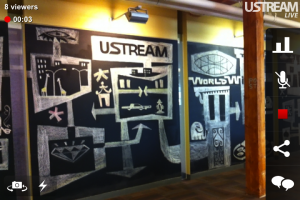 The new Ustream app, which is supported on iPhone, iPad, and iPod touch devices running iOS 4.1 and newer, boasts a number of new features (along with a spiffy facelift!) that we felt mattered most for our users on mobile devices. 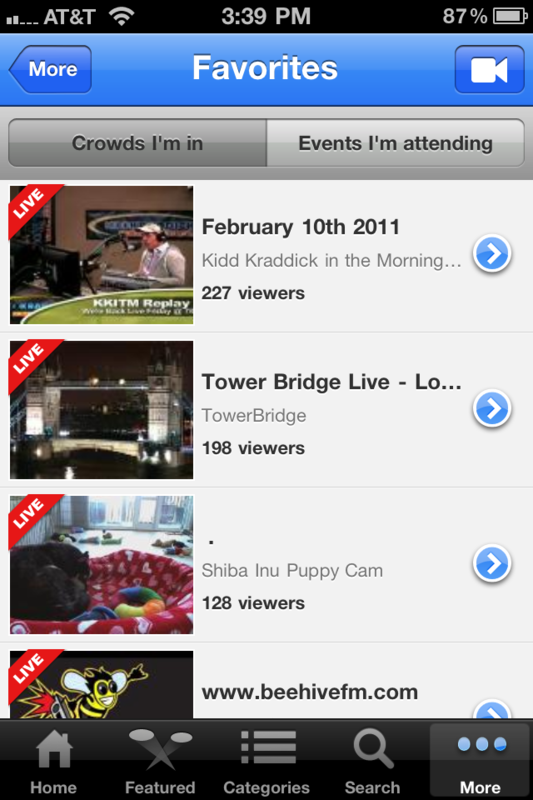 -Swipe through a Featured carousel that showcases the best upcoming events on Ustream. -Discover featured live, upcoming, and recent events, or explore by category. -Browse show profiles and register for upcoming event alerts. -Participate in the conversation through chat. -Invite your friends on Twitter and Facebook to join as you discover events and before going live. -Go live and interact with your audience by issuing a poll or chatting. -Record to your device under poor network conditions and upload later. -Turn on your LED flash (on supported devices) for low-light broadcasting. 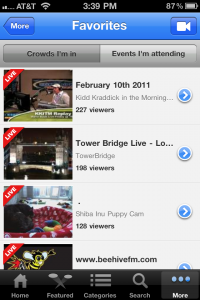 -Access an at-a-glance view of your favorite Ustream content, including shows from your Ustream Crowds and events that you’re attending. -Track your favorite events that are happening today, tomorrow and in the future. 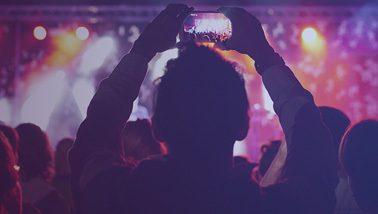 -Never miss a beat and get alerts when shows you’re following or events you’re attending go live. To get the latest app, either update the Viewer app if already installed, visit our iTunes Preview page, or simply search for “Ustream” in the iTunes App Store. Not on an iOS device? We also have apps for Android and Windows Phone 7! Check out our site for more details. We’re noodling on other exciting features to help you better discover content you want and personalize the experience. 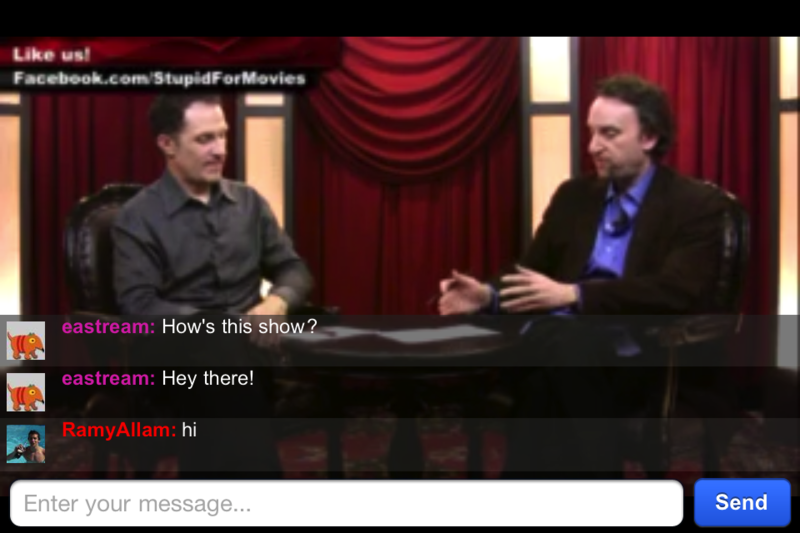 We’re also hard at work at expanding the number of featured shows that are available for viewing on iPhone, iPod touch, and iPad devices. Stay tuned for more updates! We’d love to hear from you! 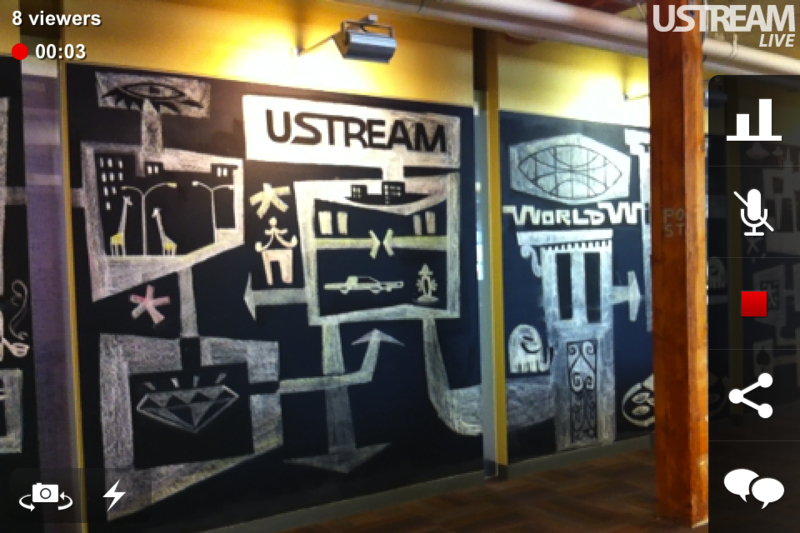 Go ahead, drop us a note at feedback@ustream.tv.